A female Aedes mosquito. This type of mosquito can transmit Zika, dengue and chikungunya viruses. A study in rural Guatemala examining the neurologic, neurodevelopmental and other clinical outcomes of Zika virus infection in infants and young children will focus on those infected with Zika virus after birth rather than those infected congenitally. The study is conducted by the National Institute of Allergy and Infectious Diseases (NIAID) of the National Institutes of Health (NIH), in partnership with FUNSALUD (Fundacion para la Salud Integral de los Guatemaltecos) Center for Human Development in Coatepeque, Guatemala. FUNSALUD is a nonprofit foundation dedicated to improving the health and human development of families and communities in the southwest region of Guatemala. Researchers in Guatemala and the United States, including NIAID scientists, designed the study, and NIAID is funding the research. The current study is led by Flor M. Munoz, MD, at Baylor College of Medicine, and Edwin J. Asturias, MD, at the University of Colorado in collaboration with Antonio Bolaños, MD, medical director at the FUNSALUD clinic, where the study will occur. The Emory Vaccine and Treatment Evaluation Unit (VTEU) Research Laboratory, under the direction of Mark Mulligan, MD, will perform the laboratory testing for the study. "This study should be very helpful in advancing research about the impact of Zika virus infection," says Mulligan. "Our Emory VTEU site is looking forward to providing laboratory expertise and learning more about this challenging disease." Zika virus infection during pregnancy can result in a pattern of birth defects called congenital Zika syndrome, including severe microcephaly and other neurological and neuromuscular problems. Some infants also appear healthy at birth but develop these problems during the first year, and physicians and researchers don't yet understand all the consequences of Zika virus infection. 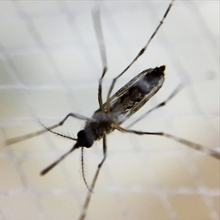 Surveillance studies have confirmed active Zika virus transmission and high infection rates in children in the study area of southwestern Guatemala. The NIH press release is available here.